Bhaktivedanta Swami Prabhupada was a guru and the founder of the International Society for Krishna Consciousness (ISKCON), commonly known as the “Hare Krishna Movement”. His mission was to propagate Gaudiya Vaishnavism, a school of Hinduism taught by his guru, throughout the world. A charismatic leader, he emerged as a major figure of the Western counter-culture, finding early acceptance in San Francisco of the Sixties. He translated into English over 60 volumes of classic Vedic scriptures, praised by academics and well-received by spiritual devotees world-wide. In subsequent translation into 80 other languages, over half a billion of his books have been distributed. 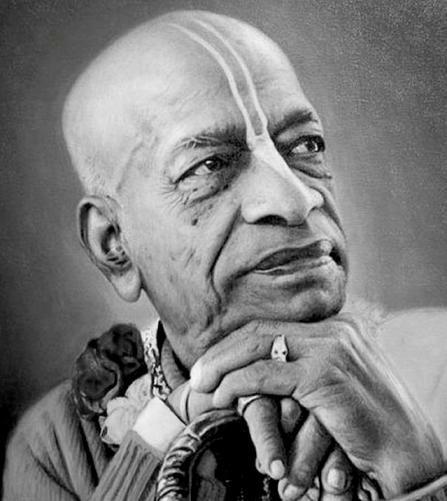 After his death in 1977, ISKCON continued to grow and is respected in India, though there have been disputes about leadership among his followers. Over the years, there has been rumor-fueled speculation as to whether Prabhupada was poisoned in his later years, so as to facilitate a change of leadership. This past year, a devotee client of mine asked whether I might try to determine Prabhupada’s correct chart. He was especially interested to know if the chart would corroborate the poisoning theory. He provided me with certain information – major events in Prabhupada’s life, anecdotes about the inner workings of ISKCON, and astrological analyses of two other devotee astrologers. The most vocal of these pundits says only a Sagittarius ascendant can explain Prabhupada’s mass appeal and prolific authorship. I suspect this is based in part on the notion that Sagittarius must be more “spiritual” than Capricorn. But certainly, a Dhanus lagna is attractive, in that it puts lagnesh Jupiter in the spiritual 9th with Ketu and a strong Sun in Leo. An exalted Mercury is in the 10th, an exalted Saturn in the 11th, and it’s these two strengths that the same pundit offers as prime evidence of Prabhupada the author. After examining the salient events in his life in light of dasas, bhuktis and transits, I’ve tentatively settled on a time of 15h54 (1 Sept 1896, Calcutta), which produces an ascendant of 06CP16. Although we can rarely make a chart account for an entire life, following are my arguments for a Capricorn ascendant. The two houses most generally associated with authorship are the 2nd and the 5th, while the 3rd is execution of craft or trade, relating more to writing skill itself. The 2nd reflects someone who has “something to say”, while the 5th reflects the work of the critical and/or creative mind. 2nd lord Saturn is exalted in the 10th. This suggests someone whose career is related to speaking, teaching and writing. Saturn is also lagnesh, and being exalted in a kendra, generates a Mahapurusha Yoga. This Sasha Yoga might be considered something of an archetypal renunciate, for such is Saturn’s nature. 5th lord Venus is debilitated in the 9th, where debilitation is cancelled by the presence of the 9th lord Mercury. With Venus representing the critical/creative mind, its field of play is the 9th of publishing. Furthermore, ME/VE together generate Raja Yoga (lords of 9th and 10th conjoined). The 5th is occupied by an exalted Moon with Mars. This constitutes a strong Chandra-Mangala Yoga, one of the fundamental wealth yogas, and in the 5th reflects a high level of mental energy and productivity. Lagnesh Saturn is exalted in the 10th and free of affliction. The Moon is exalted and forms yoga with Mars. The Sun is in its own sign with gurukaraka Jupiter. And as we’ll see below, the back-to-back dasas of two exalted planets – Saturn and Mercury – in his maturity gave Prabhupada the opportunity to make his mark in the world. Sasha Yoga is alone sufficient cause for a renunciate and spiritual life. Prabhupada also has the makings of Srikanta Yoga (lagnesh, Sun and Moon strong in good houses) but the Sun is badly placed. Likewise for Srinatha Yoga (9th lord, Mercury and Venus strong in good houses) but Venus is debilitated. For a Capricorn ascendant, Saturn is Prabhupada’s key significator. His acolytes/disciples/students are found via the 5th, their significator the 5th lord Venus. Note Venus lies in the 12th (place of secret enemies) from Saturn. Similarly, staff/underlings are found via the 6th, so their significator is 6th lord Mercury. Mercury also lies in the 12th from Saturn. Malefics in the 2nd reflect “bad food”. Rahu occupies the 2nd and is itself the karaka for poisons. Rahu is aspected only by 8th lord Sun and 12th lord Jupiter, both trik lords and therefore functionally malefic for Prabhupada. One could even make an argument that from the 7th, that strong Sun is now the food possessed (or administered) by the Other. Prabhupada married in 1918, Rahu dasa Mars bhukti. Houses typically activated for marriage are 2nd (family), 7th (relationship), 11th (wishes fulfilled). Jupiter dasa ran 1919-1935. During this period, there was both traction and slippage (JU in 8th) in his pharmaceutical career (JU on RA/KE axis). He began his tentative involvement in spiritual movements. Saturn dasa ran 1935-1954. Prabhupada’s real “life work” began (SA in 10th). Instructed by his guru to build temples, publish books and introduce Krishna consciousness to the West, he started Godhead magazine, retired from family life, and initiated his first disciple. Mercury dasa ran 1954-1971. Prabhupada totally embraced spiritual life (exalted ME in 9th) via vanaprastha and sannyasa orders. He published his first book, traveled to America and established the spiritual organization ISKCON. His Bhagavad Gita translation with commentary was published by Macmillan. Ketu dasa ran 1971-1978. This was a complex period with both positives and negatives, due to (1) Ketu’s essential nature, (2) Ketu’s placement, and (3) Ketu’s influences. This period saw massive expansion of the ISKCON franchise through book distribution, but also Prabhupada’s death. although Ketu sometimes manifests as worldly wealth, its essential nature is that of “the headless one”, ie, without ego, and is therefore associated with spirituality. In fact, Ketu is the prime mokshakaraka. Ketu is associated with the powerful 8th lord Sun. Thus, it can transform, give access to others’ money and/or bring accident/death. Ketu is associated with 3rd/12th lord Jupiter. Thus, it can bring extensive travels, as well as surrender, moksha and death. Ketu is aspected by 4th/11th lord Mars. Thus it can create supporters and generate income. Prabhupada died 14 Nov 1977. If he was born at 15h54, this means he died in Ketu dasa Mercury bhukti Rahu pratyantara. Dasa lord Ketu occupies the 8th and gives results predominantly for the powerful 8th lord Sun with which it is associated. Bhukti lord Mercury gives results for Moon, a maraka (death-dealing) planet because it owns the 7th. Mercury also functions on its own behalf, as lord of 6th and 9th. Rahu also acts for Saturn, karaka for death, and functions separately as a maraka planet because it occupies the 2nd. Lagnesh Saturn was in the 8th, exactly conjunct the chhidra point (the heart of the 8th) at 06LE17. Moon was in the 12th. I believe Prabhupada had Capricorn rather than Sagittarius rising. A Capricorn ascendant supports his significant authorship and the major phases of his life, including fame and death. Although his rumored death by poisoning may be contentious and unable to prove, if it were indeed so, the Capricorn-rising chart also accounts for his poisoning, perhaps at the hands of those entrusted to his care. For a compilation of his writings (essays on astrological technique, in-depth celebrity profiles, and analysis of mundane events) see his book Stellar Astrology.